In another example of crooked politics in Australia, today’s top news is about the passing of a law in NSW protecting introduced feral horses that are destroying sensitive habitat. In other news, New Zealand has launched the consultation process on the legislation to achieve zero carbon emissions by 2050; Sustainable Coastlines is looking for volunteers to help fill a database with the types of waste found in the ocean; and a drop in tourism on the Great Barrier Reef is attributed to coral death. AUSTRALIA – Late on Wednesday night the so-called “brumby bill” was passed without amendment in the New South Wales Parliament. 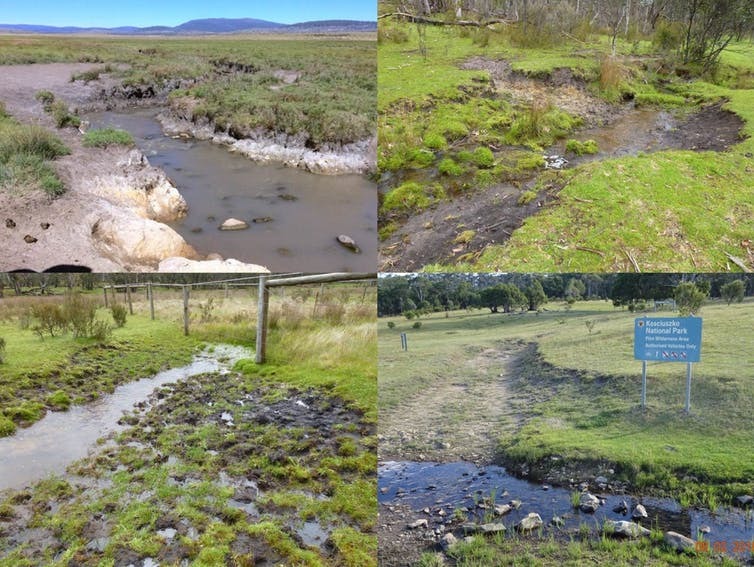 The controversial Coalition bill, supported by the Christian Democrats and the Shooters, Fishers and Farmers Party, means that feral horses must be kept in Kosciuszko National Park. It also creates a community advisory panel, with no scientific experts appointed, to advise the minister on how to manage the horse population in the alpine ecosystem. The globe’s hurricanes have seen a striking slowdown in their speed of movement across landscapes and seascapes over the past 65 years, a finding that suggests rising rainfall and storm-surge risks, according to research reported Wednesday. The study, published in the journal Nature, finds a 10 percent slowdown in storm speed between 1949 and 2016. It points directly to the example of Hurricane Harvey, whose catastrophic rains were enabled by the storm’s lingering in the Houston area for such a long period. UK industry is still failing to take full advantage of the huge cost and carbon savings on offer from demand response and flexible grid services, leading to higher costs for business and households. That is the conclusion of a new report today from trade bodies RenewableUK and the Association for Decentralised Energy (ADE), which calls on industrial sectors to more fully explore the potential of demand response services that promise to take advantage of emerging smart grid technologies to better match peaks and troughs in power supply and demand, curbing bills in the process. A Canadian company, backed by Bill Gates, says it has reached an important threshold in developing technology that can remove CO2 from the air. Carbon Engineering has published a peer-reviewed study showing that they can capture carbon for under $100 a tonne. This would be a major advance on the current price of around $600 per tonne. NEW ZEALAND – Bold legislation to drive emissions down to zero would come with massive implications – ranging from slower-growing household incomes to major impacts on industry. The most ambitious of three options tabled this afternoon – achieving a net-zero 2050 across all emissions, not just carbon dioxide – would mean a 10th of New Zealand would need to be planted as new forestry. But Climate Change Minister James Shaw said making plans and “taking common sense action now” would help avoid sudden changes down the track. Shaw today released a discussion document to kickstart a six-week consultation process on the Government’s proposed Zero Carbon Bill. People can make submissions on the Zero Carbon Bill and find out more about the consultation process here. AUSTRALIA – The headlines are screaming again from mainstream media about the threats of blackouts, only this time it is not about having not enough coal, or too much wind, but because of the so-called threat of having too many rooftop solar panels on the grid. It began last month with this headline in The West Australian, “Rooftop solar poses blackout threat to WA’s main power grid,”, and was followed on Thursday – following presentations and interviews at the Energy Networks Australia conference in Sydney – by similar headlines in The Australian and the Sydney Morning Herald. AUSTRALIA – Global consumer goods manufacturer Unilever could be the next major corporation in Australia to commit to a long-term solar or wind power purchase agreement, after confirming plans to make its operations here 100 per cent renewable by 2020. In an update to its Sustainable Living Plan, unveiled in Sydney on Thursday, Unilever said it was on track to meet key commitments in Australia, including sourcing 100 per cent of all grid electricity used in manufacturing from renewable sources by 2020. Eight men, including three government officials, all from African countries, have been arrested for allegedly trafficking wildlife body parts to Southeast Asia. Officers from the Lusaka Agreement Task Force, based in Nairobi, Kenya, used data analytics software to track down the alleged smugglers, who were arrested in the Republic of Congo and the Democratic Republic of Congo in May. The investigation linked the accused to shipments of pangolin scales and elephant tusks seized in Southeast Asia. We measure water stress with satellites, model it with algorithms, see it in empty riverbeds and experience it with dry taps. But how do we define water stress? Where does it come from? How will climate change disrupt the supply and demand for water? What is the relationship of water to food and energy? These questions and more are explored by Charles Iceland, director of Global and National Water Initiatives, in a new podcast. The growing body of work detailing how green investments tend to outperform the market has gotten a little larger with the release of a new report from FTSE Russell. The market analysts last week published a study titled Investing in the global green economy: busting common myths (PDF), which explores the current scale and performance of green economy investments. UK – Awareness of the health risks posed by air pollution is now widespread, with recent studies showing it can be blamed for around 10,000 early deaths a year in the UK. However, now new research has attempted to put a financial cost on the health and social impacts associated with dirty air, revealing that the UK’s car addiction is likely costing the NHS and wider society more than £6bn a year. The study from the Universities of Oxford and Bath was commissioned by environmental charity Global Action Plan, which is organising the upcoming national Clean Air Day on June 21st. AUSTRALIA – The lure of the Great Barrier Reef to Australian tourists has “fallen dramatically” since the onset of successive coral bleaching events in 2016, according to a new report that reveals fewer domestic visitors are heading to north Queensland to visit the natural wonder. The report, by the Centre for Tourism and Regional Opportunities at Central Queensland University, says towns should now develop “new tourism experiences” to compensate for lost visitors and the likelihood of further damage to the climate-threatened reef. Swedish furniture giant IKEA has promised to outlaw single-use plastic products across its entire product range and in-store eateries by 2020 and ensure zero emission home deliveries as standard by 2025, as part of a sweeping set of new sustainability goals. The firm also promised to design all its products in line with circular principles and using renewable and recycled materials, and reduce the climate footprint of its wares by an average of 70 per cent per product by 2030. NEW ZEALAND – “Citizen scientists” are being recruited for a long-term scheme to monitor litter at more than 100 beaches nationwide. The drive is part of a Sustainable Coastlines project to reduce litter at a “generational level” and ease the environmental threat posed by plastic. Ultimately, the charity will choose 108 beaches where data about the type and amount of litter will be collected and fed into a national database. It believes the problem of litter can’t be solved until there is hard information about what washes up. To express interest in signing up as a Citizen Scientist, visit: www.sustainablecoastlines.org/litterproject/. NEW ZEALAND – Products containing plastic microbeads cannot be made or sold in New Zealand as of Thursday. It is now illegal to manufacture or sell some products, including toothpastes, face washes, glitter bubble baths, containing the minute plastic particles. Retailers caught ignoring the ban face a fine of up to $100,000. Persuading people to use energy more efficiently has long been heralded as a simple, effective way to help tackle climate change. The problem lies in the persuasion. Historically, policies and programs to encourage people to save energy have relied largely on technological interventions and decision-making driven by economics: consumers will save energy to save money. However, a growing volume of research shows that energy-consumption behavior is not always rational and can benefit from nudges designed to encourage households to be more energy-efficient. INDONESIA – A major driver of Indonesia’s deforestation and land rights crisis is the corrupt sell-off of land and resources by politicians, often to raise money for expensive political campaigns. Some government officials trade business licenses for cash bribes, while others engage in more complex schemes. There is every indication that permit selling in the agribusiness and extractive sectors is rife across Indonesia, even if the true extent remains hidden. 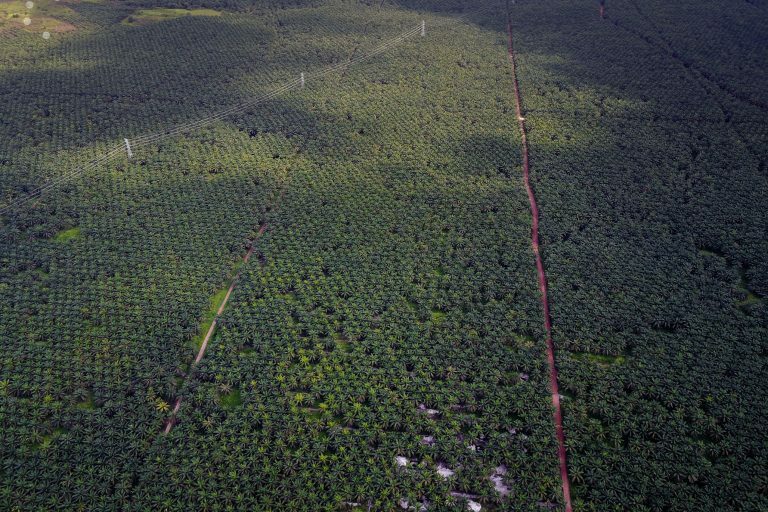 This article was produced under a collaboration between Mongabay and The Gecko Project, an initiative of the London-based investigations house Earthsight, as part of our Indonesia for Sale series. 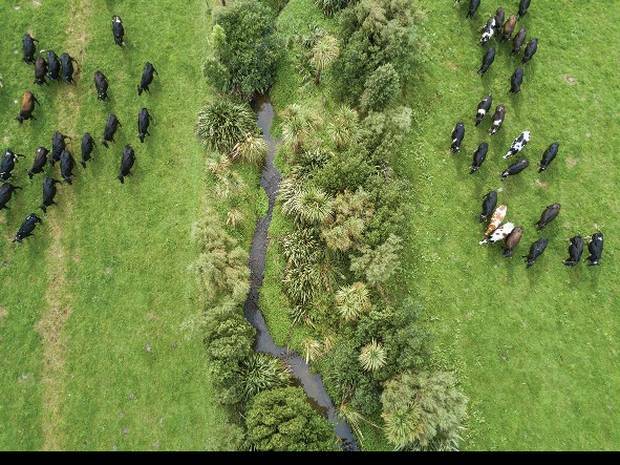 NEW ZEALAND – While the world may seem to have an abundant supply of this sought-after commodity, soaring demand has seen beaches and riverbeds in some parts of the world stripped, to devastating effect. In Indonesia, more than 20 islands are believed to have disappeared in just the last 20 years due to sand mining. Countless fish and birds are being killed by river sand mining in India, while miners have torn up hundreds of acres of forest in Vietnam to get at the sand underneath, according to investigative journalist Vince Beiser. Large fish species are rapidly declining around Australia, according to the first continental diver census of shallow reef fish. Contrary to years of sustainability reports, our study indicates that excessive fishing pressure is contributing to decline of many Australian fish species. In areas open to fishing, we found that exploited populations fell by an average of 33% between 2005 and 2015. This rate closely matches the 32% downward trend in total Australian fishery catches through the same period.